at Hardin ng Pag Asa Gym, Martinez St. Mandaluyong. 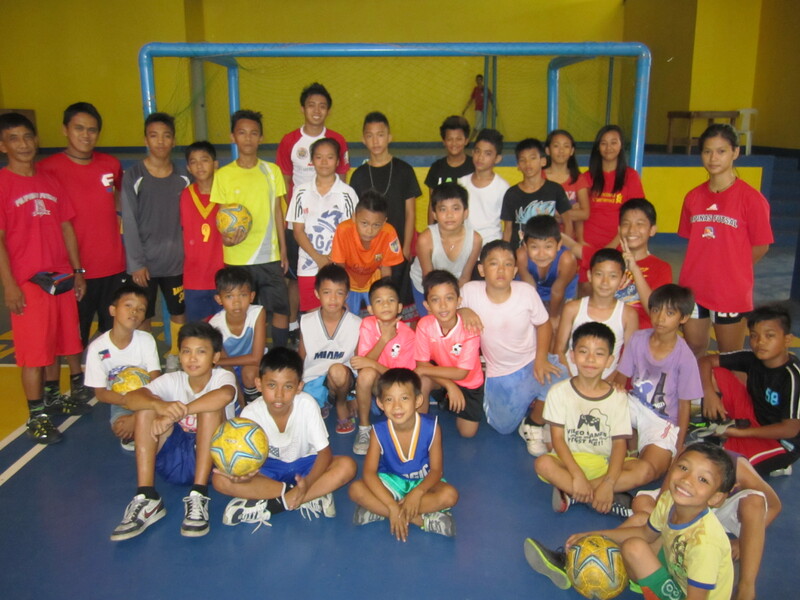 Free Futsal Clinic for Kids. In coordination with Mayor Benjamin C. Abalos Jr.
MARCH 22,23,29,30 AT BRGY. HAGDANG BATO ITAAS GYM. WHEREIN THE CHAMPION CAN REPRESENT MANDALUYONG IN THE PFCWC NATIONAL FINALS. INTRODUCTION OF FUTSAL IN THE SOUTHERN NCAA. BRING OUR OUTSTANDING PLAYERS FROM MANDALUYONG TO TRY-OUTS FOR THE NATIONAL TEAM.